According to the heat release rate, calorie is divided into several types. The most common calorimeters include a cone calorimeter which is used to measure 10x10cm object and the furniture calorimeters which is used to evaluate the burning of 1 to 3 megawatts of the furniture (corner fire test). In order to ensure the safety of fire performance, depending on its purpose and the scale and fire performance rating of buildings and large complexes (including locomotives, vehicles, warehouses and configurations), these fire performance should have been achieved through the use of raw materials, building, the solid model performs extensive fire performance tests to verify that this test will reduce fire life and property damage. In other words, it is recommended to use a double cone calorimeter (raw material) - room angle detector / single combustion project / ISO13784-1 (micro model) - large cone calorimeter (solid) test to determine the fire safety performance classification criteria, and according to the combustion risk, the purpose and the equipment within the building specifications, which can control a wide range of fire safety performance test. 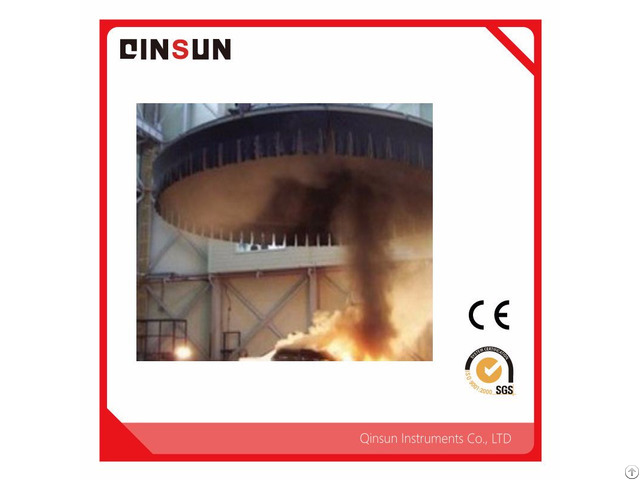 Large calorimeter heat release rate test device is used for testing and analysis the ignition characteristics, heat release rate, mass loss rate, effective heat and gas analysis of large objects or structures placed in the open space combustion process. Combine the direct physical combustion to simulate the occurrence of fire, and then analyze the collected flue gas data to understand the combustion characteristics of various experimental bodies; I t can also study the best way to eliminate fire to reduce the safety of life and property caused by fire in the test. As a test method for all test items, heptane is often used, but the calibrated burner will also be used alone. 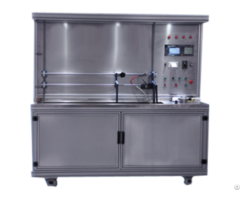 In particular, when using an oxygen consumption test method, the calibration burner will be used to test the net burn calories. 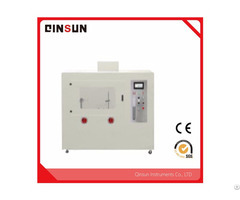 Posted By: Qinsun Instruments (Shanghai) Co., Ltd.
Business Description: Qinsun Instruments Co., Ltd was founded in 2010,comprised of many experienced engineers and designers standing in the forefront of the industry.